►Special Deal. We have ONE 14" Lenovo laptop for sale at a great price. See below for details. 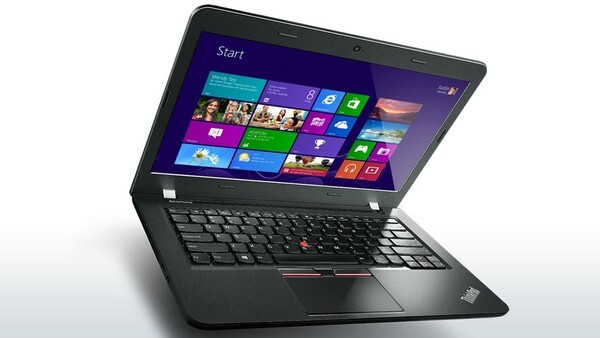 I have one new 14" Lenovo ThinkPad computer available for purchase by the first person who calls us at 772-408-4425. On Amazon, it's available starting at 567.36 (see ad below) but we have it for $469.00 + tax. (That's about $100 off!) It comes with Windows 10, 4GB of memory (upgradeable to 16GB), 500GB hard drive. It's light (only 4lbs.) This is a great little machine. In fact, we use this same model as loaners and training units. Set up in your home and/or transferring of data is an extra fee but if you don't need those things, this machine is ready to go. Call us at 772-408-4425. Question: "When I start my computer after it has been off, my Google Chrome just sits on a white page and won't go to my Home Page and won't let me do anything. I have to close Chrome and reopen it before I can go to any websites. However, if I open Chrome after the computer has just been asleep, it works fine. What gives?" Answer: We actually had two people log into Remote this week with this problem so we thought it might be a good Question of the Week. In most cases, the problem described by our customer has to do with trying to open Google Chrome before the computer is totally booted up. When you first start your computer after it has been turned off, a ton of processes load and many programs have to "check in" with their servers. For instance, anti-virus will immediately check for updates; if you use an email client (Microsoft Outlook, e.g.) it may check for new mail; weather programs will check to see the current temperature, etc. ; and, special software like RoboForm Everywhere will check for updates. All these programs are using your Internet connection and they often consume so much bandwidth that if you start your browser (doesn't have to be Google Chrome - it can be Microsoft Edge, Internet Explorer, Safari, Opera, Firefox or Vivaldi), it will fail to load the home page or any page for that matter. By the time you close it and start it again, it's usually good to go - unless you haven't turned your computer on for a very long time. Then, it may take longer. When a computer is simply coming back from being asleep, most all of the processes and programs are still loaded and you can zip onto the Internet without incident. I will say this about Google Chrome - on my own computer, I have all 7 major browsers and Chrome seems to not load as fast as the other browsers when I first start the computer up. There's nothing wrong with Chrome, it just seems more likely to NOT load unless everything is running after a start up. If you've read this far, you might be asking yourself, "How long should I wait to try my browser when I've just turned the computer on?" Another excellent question which deserves the Microsoft Answer - "It depends!" If you haven't turned your computer on for a number of days or a week or more, it's going to take longer for everything to load. If you just had your computer running yesterday, it won't take as long. But, how much time you need is difficult to say. For instance, the laptop I'm using to write this QOTW answer, takes a full 7 minutes to load everything and for all the programs to check in with their servers. Consequently, I generally start the computer, sign in with my password, then go do something else for 10 or 15 minutes. I actually have figured out the last program to load when I turn the computer on so if I don't see that loaded, then I know to let it alone. One final thought - you might think, "This is a hassle. I'll just put my computer to sleep all the time instead of turning it off." Good thinking but unfortunately, not a great idea. All home computers should be turned off at least once a week so that the RAM (memory) can be defragged and recovered. Otherwise, your computer will slow down to a snail's pace. If you're going to just put the computer to sleep, pick a night of the week and always turn it off that night. Then, you can start the next morning fresh! Have a Geek in your family or as a friend? Click in this banner to see some fun things!